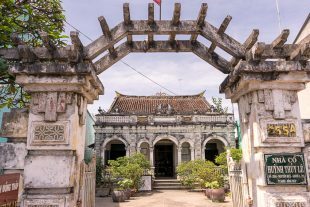 The most stunning residence in Sadec is the former house of Huynh Thuy Le, made famous by Maugerite Duras’ semi-autobiographical novel, The Lover. Today, the house is open for tours, and also operates as a guesthouse. It’s impossible to imagine a more atmospheric place to stay while in Sadec, and we were unable to resist.